Here’s a great week of live music, plus Record Store Day is this Saturday! Cahaba Brewing: Crestwood Community Band. 6 p.m.
Moonlight on the Mountain: Open Mic. 7:30 p.m.
Saturn: Kevin Morby, Hand Habits. 8 p.m.
Ghost Train Brewing: Bluegrass Jam. 6 p.m. The Nick: Gina Coleman & The Misty Blues, Mandy Rowden, Logan Magness. 9 p.m.
Tin Roof: Devin Dawson. 7:30 p.m. The Loft Show: Kyle Cox. 7 p.m. The Nick: Taylor Smith & The Roamin’ Jasmine, G.W. Henderson. 10 p.m.
Saturn: Nicole Atkins, Indianola, Daniel Elias + Exotic Dangers. 8 p.m. The Firehouse: Fotocrime, RLYR, Rosetta, Null. 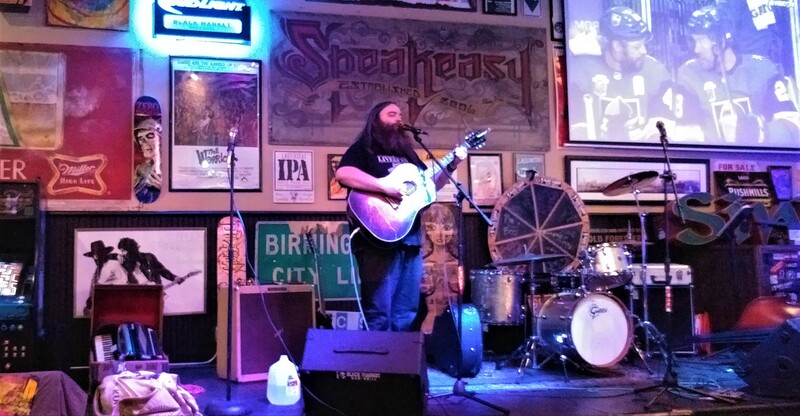 8 p.m.
Iron City Grill: Kyle Kimbrell. 6 p.m.
Moonlight on the Mountain: Southminster Voice Students. 7:30 p.m. The Nick: The Arcadian Wild, The Ellameno Beat, Nick Dittmeier & the Sawdusters. 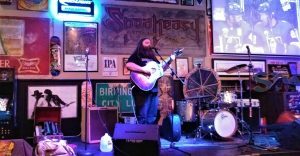 10 p.m.
Tin Roof: Matt Bennett, Zach & Cheyloe, Trey Lewis, Justin Gannon. 7 p.m.
Zydeco: Nerves Baddington. 8 p.m.
Black Market: The Painful Reminders. 10 p.m.
Beer Hog: Chase Arrington. 7 p.m.
Brennan’s: Todd Simpson Mojo Child. 9:30 p.m.
Cahaba Brewing: Connor Patrick. 7 p.m.
Daniel Day Gallery: Misty Blues. 8 p.m.
Ghost Train Brewing: The Next Appointed Hour, Airpark, Frozen. 8 p.m.
Iron City: Boy Band Night. 8 p.m. The Nick: The Voodoo Fix, The Bumbs, Hogan’s Goat, 7 Stone Riot. 10 p.m. Oasis: Automatic Slim. 10 p.m. Pale Eddie’s: The Divines. 9 p.m.
Saturn: Ty Segall, GT. 9 p.m.
Southern Kitchen: Marc Harris & Vibeville. 7 p.m. Trim Tab: Girls Rock Birmingham. 6 p.m.
WorkPlay: Durand Jones & the Indications. 8 p.m.
Brennan’s: Zach + Cheyloe, The Warriors. 9 p.m.
Gip’s Place: Sassy Brown Band. 8 p.m.
Marty’s PM: And The Echo. 11 p.m. The Nick: Future Primitives, The Cold Stares, The Brook & The Bluff, SondorBlue. 9 p.m.
Otey’s Tavern: Shelbie Z. 9 p.m.
Zydeco: 10,000 Days. 10 p.m.
Iron City: As the Crow Flies, Once & Future Band. 8 p.m. The Nick: Justin Howl, Sam Frazier Jr., Neon Moon, Justin Nelson. 10 p.m.
Southern Kitchen: JKo. 1 p.m. Trim Tab: The Old Paints, Bouquets, In Snow, Faux Ferocious. 1 p.m.
Is another show that we should add to the calendar? Send those details to tom@magiccitybands.com. Be sure to include the day, time, venue, and the names of all the bands playing. Pictured: Singer/songwriter Adam Faucett performs at Black Market.